← Merry Christmas from your EasternGraphics Team! Exhausting, huh? Charles Darwin – being the problem solver that he was – decided to nip the problem in the bud. To help move more quickly without needing to get up and down, Darwin fastened wheels to one of his armchairs, essentially creating the first “office chair” of its kind. 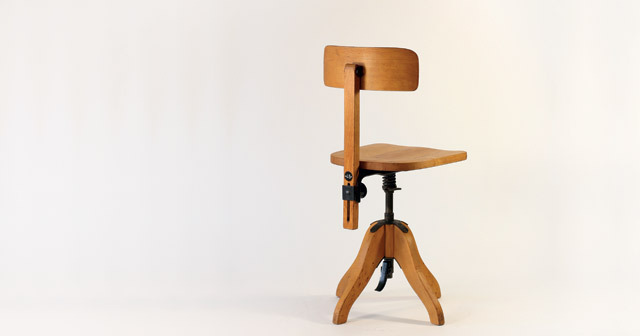 We may think of Darwin as the father of evolution, but look back at how your office chair has evolved over time, and you’ll find Darwin at the front of the line. So, how exactly has our office chair evolved over time? 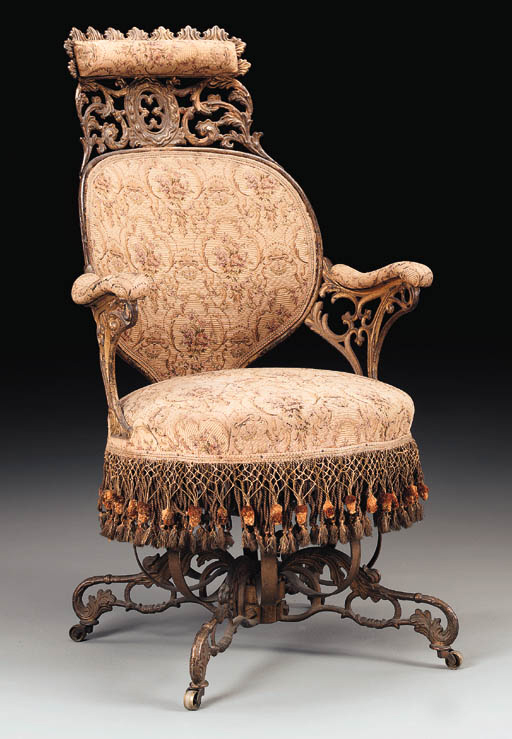 We don’t often think much about it, but the ergonomics, mechanisms and styles have continued to change throughout time. And it’s safe to say that we’ve come a long way from Darwin’s make-shift, portable lounge chair! Boosting Productivity. In addition to castors for portability, office chairs got a make-over in the mid-1800s to better suit the growing modern business environment and the increased need for administrative workers thanks to the expansion of the railway system. 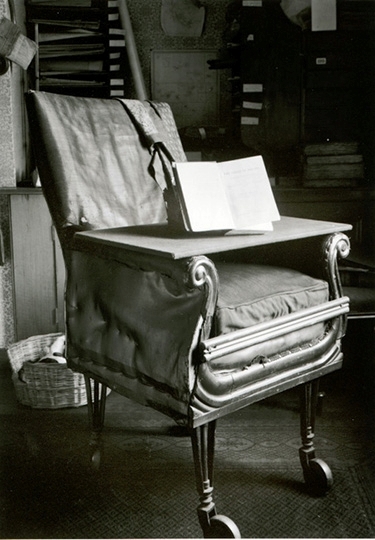 Thomas Warren’s Centripetal Spring Chair – designed in 1849 – was one of the first office chairs of its kind. It could tilt in all directions, sat on castors and was equipped with arm and backrests. It was really designed to keep people sitting all day without tiring. If you ask me, it looks pretty fitting for a nap! European Expansion. In 1912, Albert Stoll – better known today as Sedus – made improvements to the American office chair, releasing the first-swivel chair in Europe called the “Federdreh”. A few years later and they also added castors. Here’s when it started to look more like the office chairs we’ve come to know and love. Comfort is Key. The 70s brought forth an interest in the health and comfort of workers, and ergonomic application made its first big debut in the office furniture world. 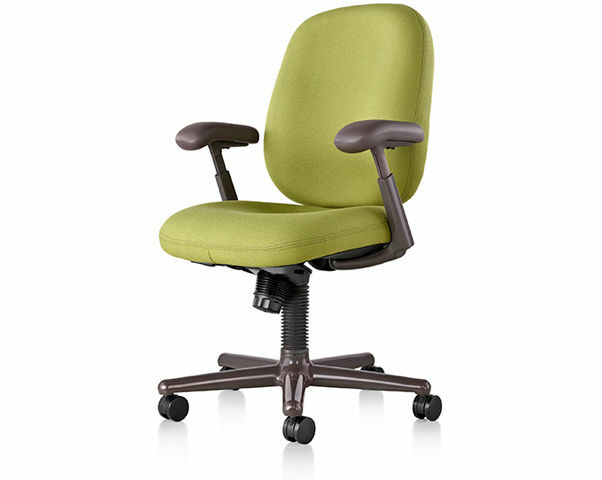 The Ergon Chair from Herman Miller worked towards supporting the body, and incorporated molded foam into the chair for a more comfortable sit. Over the next few decades, ergonomic interest remained, with aspects like lumbar support and back and seat adjustments becoming more prevalent. Clearly the office chair has evolved significantly over time. The next time you sit in your ergonomically-adjusted, comfortable and mobile chair, you can take a trip down memory lane and think of all of the great minds that helped make it what it is today! This entry was posted in Do you know?, General and tagged furniture, office chair. Bookmark the permalink. Appreciate the work you have done. Personally, I like this post very much, Because you describe all era of an office chair. To get the design as a day chair has to go through hundreds of years with a lot of research. I am really grateful to those who have created and developed the seats of today. We can only agree with that. After all, most of us spend several hours sitting daily. But some people still like the old chairs and they use it also. Ya, office chairs truly has evolved over the years. Thanks for letting us know about the 1st person who created office chairs. I also agree with Gabrielle.This is a really very interesting article. Thanks for sharing these details.